The Pahrump Center is located on 1360 East Nevada Highway 372, Pahrump, NV 89048. It is on the high traffic corridor in Pahrump and one block west of the Pahrump Nugget Casino. The plaza sits at the heart of the city as well as the busiest intersection in the city (Nevada Hwy 160 & Nevada Highway 372). The plaza benefits from its close proximity to Nevada Highway 160, which serves as the main road in and out of the city of Pahrump. The center has a building area of 24,701 square feet and offers plenty of parking spaces. The vacant unit has an area of 880 square feet and currently offers a special below market rental rate of $1.20 /SF. 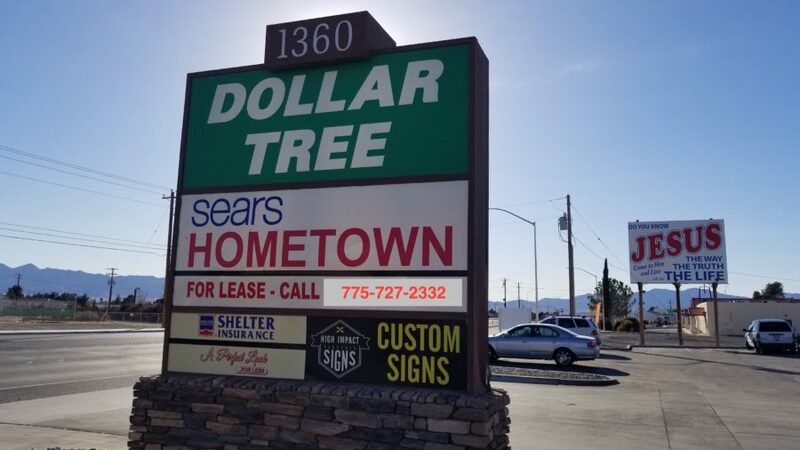 Anchor tenants – Dollar Tree, Sears, Shelter Insurance. Call For Showing! Great Location for Great Price!